It is a Russian Immersion Preschool, meaning that children are taught Math, Art, Music and Movement, Science, Dramatic Play, Literacy and Language Skills in Russian. In addition to that, we offer daily 1 hour Spanish and English classes for those families who want their children to speak multiple languages. 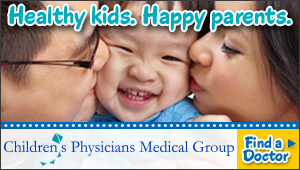 *Blog that allows parents to stay informed and feel included in their children’s daily activities. Register Today for Full Day Kindergarten at Pacific PreSchool & Kindergarten Community Open House this Wednesday at 6:30 p.m.
Community Open House this Wednesday at 6:30 p.m.
School begins at Pacific PreSchool and Kindergarten on September 6th, but you can get a sneak peek at the Community Open House on Wednesday, September 5th. Stop by between 6:30 and 8:00 p.m. to meet our teachers, tour the school, and check out the new play ground. If you’ve been thinking of enrolling your child at Pacific PreSchool and Kindergarten, it’s not too late. There are still a few spots left in our Preschool classes and full day Kindergarten. We offer individualized instruction and small class sizes. Contact Lynda Way for more information. 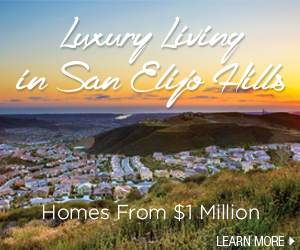 We are so excited to be part of the San Elijo Hills community. Please remember that our classes start this Thursday, September 6th, so you may see a few more cars, and kids, on the roads around the schools that morning. Please drive safely! Pacific PreSchool & Kindergarten will open September 6th! A NEW Orientation Session is scheduled for August 2nd at 6:00 p.m. at Hometown Realty. Seating is limited. RSVP today. Construction is done, staff has been hired, and the finishing touches are being added as we prepare for the first day of school on September 6th. Registration is still open for Kindergarten and PreSchool, and we invite you to attend our upcoming orientation session to learn more. Pacific PreSchool & Kindergarten is a private Early Education Program opening in San Elijo Hills for the 2012 – 2013 school year. Established in 1990, San Elijo Hills will be the school’s third campus, joining two other locations in South Orange County. “Pacific PreSchool & Kindergarten is focused on ‘kindergarten readiness’ – developing the physical, social, emotional and intellectual skills children need to succeed in school” shares owner/educator/director Lynda Way. You have high expectations… and so do we! NEW Orientation Sessions scheduled for June 21st at 10:30 a.m. and 6:00 p.m. at Hometown Realty. Seating is limited. RSVP today. Construction is ahead of schedule for opening in September! Following the several orientation sessions held so far, enrollment is growing steadily and classes are filling at Pacific Preschool & Kindergarten, a private Early Education Program opening in San Elijo Hills in September 2012. Established in 1990, San Elijo Hills will be the school’s third campus, joining two other locations in South Orange County. A NEW “Orientation Session” has been added and is filling fast: May 17th at 6:00 p.m.
Construction is moving along rapidly and is ahead of schedule for opening in September! Orientation Sessions May 10th at 10:30 a.m. and 6 p.m.
Construction is underway and enrollment is growing at Pacific PreSchool & Kindergarten, a private Early Education Program opening in San Elijo Hills in the Fall of 2012. Established in 1990, San Elijo Hills will be the school’s third campus, joining two other locations in South Orange County. “Pacific PreSchool and Kindergarten is focused on ‘kindergarten readiness’ — developing the physical, social, emotional, and intellectual skills children need to succeed in school,” shares owner/educator Lynda Way. You have high expectations…and so do we! The preschool and kindergarten, which will feature eight individual classrooms surrounding a large multi-purpose room, a kitchen and ancillary facilities, is scheduled to open in the fall, serving children from 18 months through kindergarten. San Elijo Hills is the third location for Pacific Preschool, a private Early Education Program owned and operated by Lowell and Lynda Way. Other locations in South Orange County are accredited by the National Academy for the Education of Young Children (NAEYC), a distinction earned by only 8 percent of preschools nationwide. “Pacific Preschool and Kindergarten is focused on ‘kindergarten readiness’ — developing the physical, social, emotional, and intellectual skills children need to succeed in school, said Lynda Way, an educator who established their first preschool in 1990. Pacific Preschool prepares students for kindergarten in 125 different skill areas through programming that is engaging, creative, and fun. The school provides a safe and healthy learning environment, with teachers who have a bachelor’s degree and/or a California Department of Education teaching permit. Pre-registration for the City’s fall session of the Raggedy Ann & Andy Preschoolers Program will take place from August 8 to 16 at the San Marcos Community Center, 3 Civic Center Drive. Parents must register in-person and should bring a child’s birth certificate and proof of residency via a current utility bill. The fall session of Raggedy Ann & Andy runs from September 6 to November 18. Classes are held at the San Marcos Community Center, San Elijo Recreation Center and Woodland Park Recreation Center. The fee for San Marcos residents is $519 for Monday/Wednesday/Friday and $324 for Tuesday/Thursday. 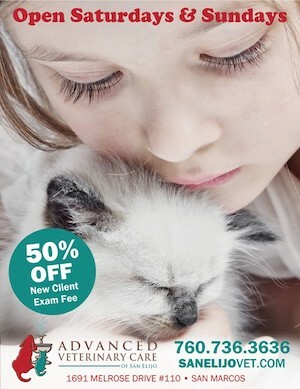 Non-residents pay an additional $50 per session. Raggedy Ann & Andy Preschoolers Program is a recreational enrichment program for children three to five years old. The program focuses on socialization skills with an introduction to academic concepts. Children learn social skills while participating in arts and crafts, storytelling, outdoor play and learning fun. Five sessions are offered throughout the year: fall, holiday, winter, spring and summer. 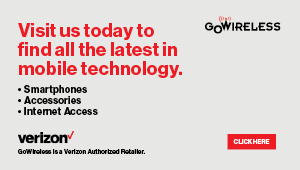 Please call (760) 744-9000 for more information or click here. In recent years, the Raggedy Ann & Andy Preschoolers Program (RAA) at the San Elijo Recreation Center has reached capacity. Most sessions during the year, all the classes are full with a lengthy waiting list for each class. New ways to accommodate more children at the location are being explored. At the San Elijo site, four classes are currently offered in both the large and small classrooms. The large classroom accommodates twenty-four children per class and the small classroom accommodates twelve children per class. The classes offered include: Monday-Wednesday-Friday (MWF) AM class, MWF PM class, Tuesday-Thursday (TTH) AM class and TTH PM class. The AM classes run from 9 am to 12 pm and the PM classes run from 1 to 4 pm. With the current class schedule in both classrooms, the program is able to accommodate 72 children each Monday-Wednesday-Friday and 72 children each Tuesday-Thursday for a total of 144 children. A new schedule for the RAA Program at the San Elijo site has been proposed and upon Community Services Commission approval will be implemented beginning September 2011. The new schedule will accommodate 108 children each Monday-Wednesday-Friday and 108 children each Tuesday-Thursday for a total of 216 children. With the proposed schedule, the class times will change and an additional class will be added each day. The new schedule will include the following classes: MWF AM class, MWF MID class, MWF PM class, TTH AM class, TTH MID class and TTH PM class. The AM classes will run from 7:30 to 10:30 am, the MID classes will run from 11 am to 2 pm and the PM classes will run from 2:30 to 5:30 pm. The new schedule would only affect the classes at the San Elijo site while the classes at the San Marcos Community Center and the Woodland Park Recreation Center would remain on the current schedule. If the new schedule works well, it could possibly be implemented at additional sites sometime in the future. The new schedule will be discussed at the San Marcos Community Services Commission meeting on Wednesday, July 20. The meeting will begin at 6:30 pm and take place in Council Chambers located at 1 Civic Center Drive, San Marcos, CA 92069. San Marcos Sheriff is conducting a suicide investigation at San Marcos City Community Center in San Elijo Hills. We have pulled the details and ask for respect for the family and friends, this is a sad event. pre- school will be open for afternoon session.